2 DVD/2CD Digipack, 3 LP Vinyl (available in four different colors), 2 Disc Blu-ray and as a 2 DVD/2 CD/2 Blu-ray pack complete with a 48-page Artbook, Radiant Records via Metal Blade Records/SONY in multiple formats will be released November 10 on Snow Live. 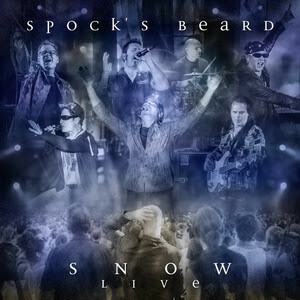 Now it’s time for fans worldwide of Spock’s Beard and Neal Morse to experience that night for themselves. Spock’s Beard features Neal Morse (lead vocals, piano, synths, electric and acoustic guitar), Alan Morse (electric guitars, vocals), Ted Leonard (electric and acoustic guitar, vocals), Jimmy Keegan (drums, percussion, vocals), Nick D'Virgilio (drums, percussion, vocals, acoustic guitars), Ryo Okumoto (keyboards--hammond organ, mellotron, jupiter 8, minimoog, vocoder), and Dave Meros (bass, vocals).